God’s love gift of His son: It is free: we cannot earn God’s love. It is unending: a certain promise of eternal life. It is sacrificial and boundless: It is available to all, no matter the depth of our sin or the frailty of our faith. Faith is the essential spiritual requirement to receive eternal life, according to John 3:16. But what exactly is saving faith? We must know and agree with the facts of the gospel that are explained in the Bible. Additionally, we must commit ourselves to Christ, asking Him for His gift of love and mercy, entrusting ourselves to Him. Although we may only have a “scrap of faith” mixed with some unbelief, God invites us to put our faith in Christ and find forgiveness and grace. 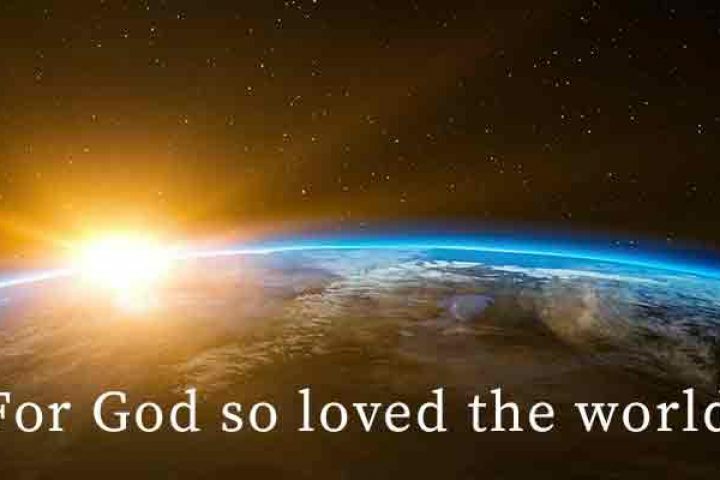 John 3:16 is the story of story of: The Greatest Danger: Our greatest danger is perishing, being condemned to eternal ruin, separated from the goodness of Christ after we die. The Greatest Rescue: Our greatest rescue is by God who so loved the world, the world that was hostile to Him and that rebelled against Him, that He sent His only Son to die for our rebellion that we might not perish, but have eternal life. The Greatest Promise: Our greatest promise is the that we can have eternal life and it can be our present possession that cannot be taken away. John 3:16 expresses the depth of God’s great love for us. The holy self-existent God who holds us accountable loved the world: all of humanity. In love He gave His Son, Emmanuel, God with us, to die as a substitutionary sacrifice and pay the penalty for our sins. Jesus calls us to trust and believe in Him so that we might not perish but find everlasting life.